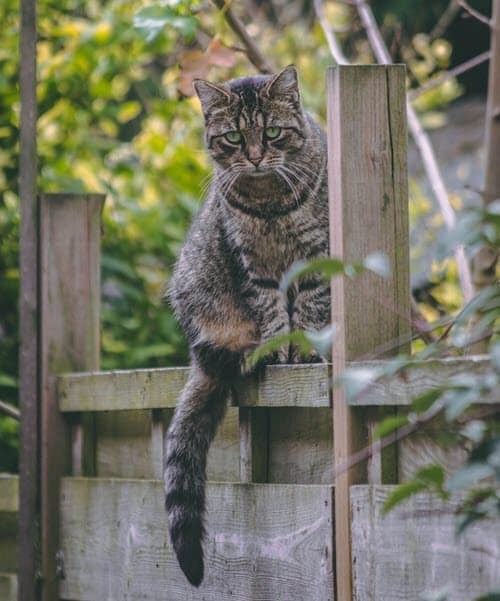 Have you ever wondered how far your cat wanders when they go outside? What adventures they encounter? It might be farther and scarier than you think! This research done by the University of Illinois casts some light on your pet’s trails. Researchers (and some cat-owners) wanted to know: What do feral and free-roaming house cats do when they’re out of sight? A two-year study offers a first look at the daily lives of these feline paupers and princes, whose territories overlap on the urban, suburban, rural and agricultural edges of many towns. Of the radio transmitters used in the study, 23 had tilt and vibration sensors that tracked the animals’ every move. As expected, in most cases the un-owned cats had larger territories than the pet cats and were more active throughout the year. But the size of some of the feral cats’ home ranges surprised even the researchers. “For example, Toxoplasma gondii, a parasite spread primarily by cats, may cause neurological, reproductive and even respiratory problems in humans, cats and wildlife, depending on the species affected,” she said. Rabies, cat scratch fever, feline leukemia and feline immunodeficiency virus are also of concern to pet owners whose cats encounter other cats outdoors, she said. Vaccination of pet cats will reduce but not eliminate the threat of disease transmission, she said. Unlike other feline predators, such as bobcats, that are native to the Midwest, domestic cats are invasive species that have a disproportionately damaging effect on wildlife – either through predation or disease, Horn said. At FCVC we are always willing to talk to you about your cats and the outdoor dangers they may face in their travels. If you have questions, give us a call at 970-587-5140. You may also be interested in these articles related to cat behavior – The Cats Tail and Crazy Cat Cravings.